The Eddie Basha Collection, housed in the Zelma Basha Salmeri Gallery, draws admirers from all over the world. The impetus behind the collection, as well as the gallery itself was one of love, respect and great admiration. Eddie Basha grew up captivated by the American West. 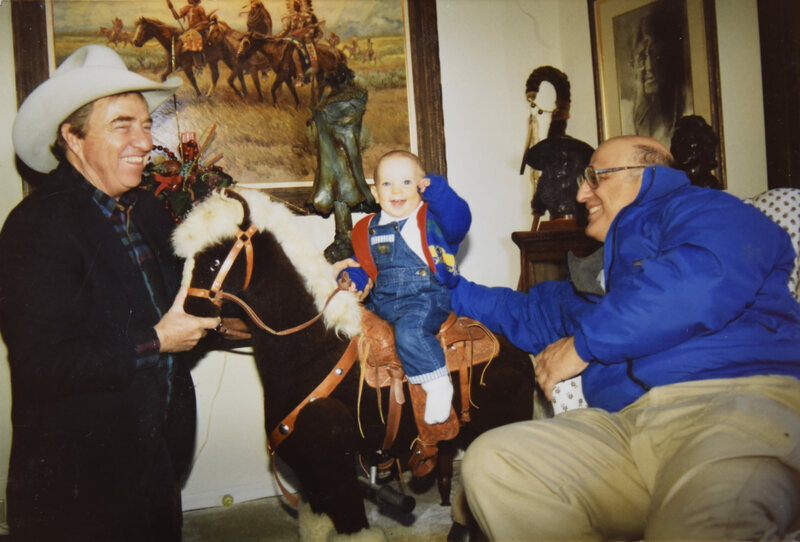 In 1971 under the encouragement and guidance of his Aunt Zelma, Eddie began collecting art. What began as a hobby quickly grew into an inspirational passion, combining his keen interest in the history of the American West, his admiration of the American Indian and his appreciation for art. 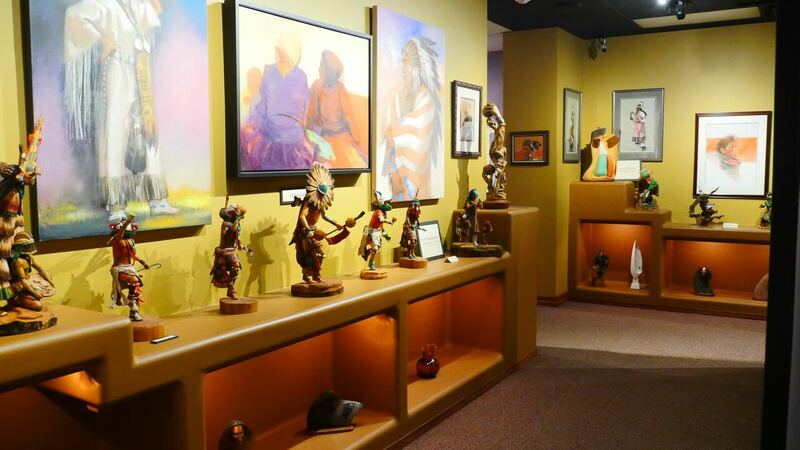 His collection has grown into one of the largest private collections of contemporary Western American and American Indian art in the world. The focus of the Eddie Basha Collection lies in two specific areas: Contemporary Western American Art and Contemporary American Indian Art. It is a vast composite of oil paintings, watercolors, acrylics, pastel and charcoal drawings, pen & inks, bronze, wood and natural stone sculptures, wood-turned bowls, basketry, pottery, katsinas and jewelry. There are well over 3,500 pieces of art depicting numerous mediums displayed throughout the gallery. 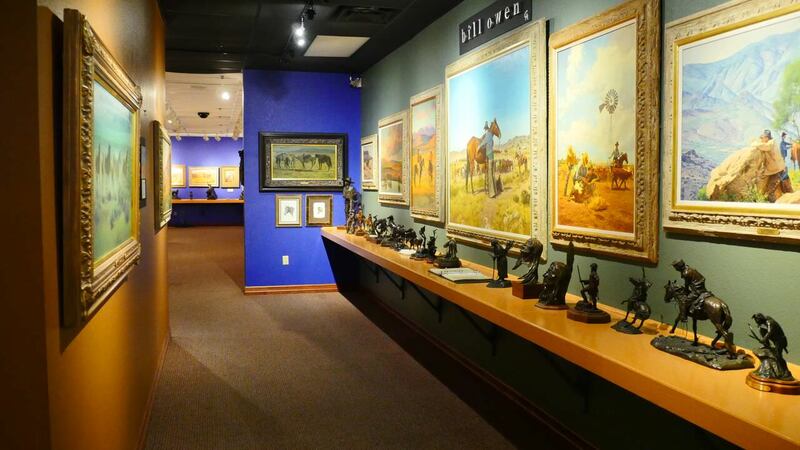 The collection includes countless masterpieces by renowned Cowboy Artists John Clymer, Joe Beeler, Jim Reynolds, Howard Terpning, David Halbach, Bill Owen and many others. The collection also includes several works by American Indian Contemporary Artists Clifford Beck, David Johns, Cecil Calnimptewa, Dennis Tewa, Larry Yazzie, Orland Joe, Al Qoyawayma, Wilmer Kay and many others. Eddie was not just another collector. In fact, he was known for developing close, personal relationships with many of the artists he collected from. To Eddie, these friendships played a significant and imperative role in the pieces he purchased. Each one tells a unique and personal story. Eddie was passionate about sharing his love for art, which is why he opened the gallery in 1992. After only a brief two years, the first expansion doubled the size. 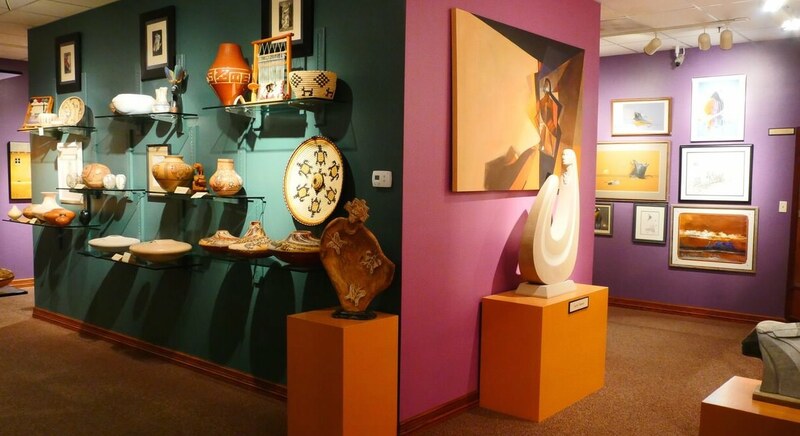 In memory of Aunt Zelma and Eddie Basha, it is our intention to share this beautiful collection with our Arizona community and its many visitors. We hope you enjoy the collection as much as we enjoy sharing it with each and every person who visits. 22402 S. Basha Road • Chandler, Arizona 85248 • 480-895-5230 • Mon – Fri 9 a.m. – 4 p.m.